It has been raining almost constantly for two days straight, and predicted to last for at least two days more. Several people couldn’t make it to work today because of road closures, and the Cleveland train-line was interrupted for a while because of surface flooding. Everyone is thinking about the floods only 12 months ago when three-quarters of the state of Queensland was declared a disaster zone. 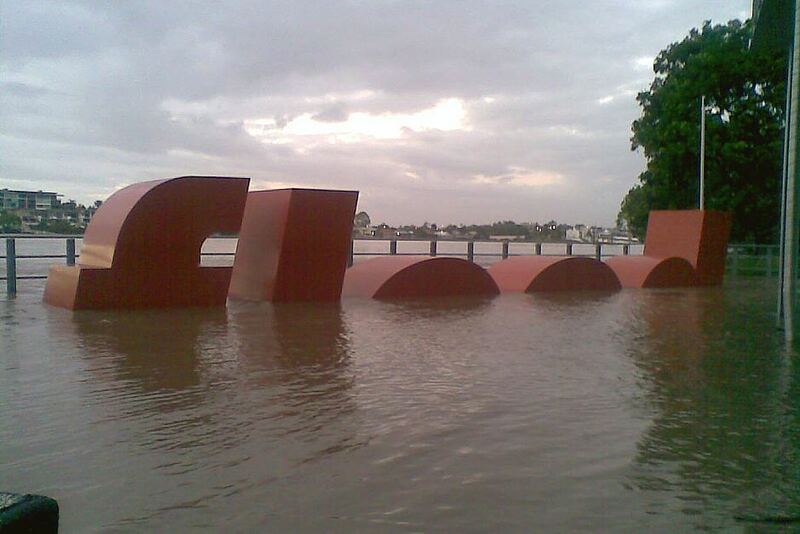 The photo below is the same sculpture on 13th January 2011 (image credit here). It will be a wet Australia Day tomorrow, but fingers crossed that we won’t need our kayaks.